People move out of the state in search of a new job opportunity, hard to find stability factor or for a better life. However, the decision to move is hard, but you have to make it. Lots of options are available to do it, which include shipping, flying, driving your own vehicle, rent a moving truck, etc. But, some methods are cheaper than others. If you do some preliminary research, you can select the cheapest and most enjoyable cross country moving option. 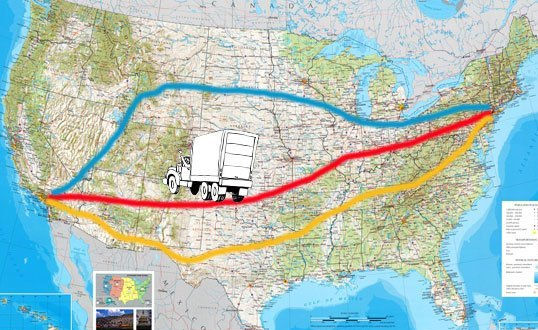 Here is an analysis of Ways To Save Money When Moving Across The Country. As you know that cargo space means money. So, you should take only what you need, which is the best way to save on storage and transport cost. Do not just think about the fees, but you should pay for everything you take, including money you spent on gas too. Therefore, managing stock is extremely essential to save money. You can do it in the best possible way if you plan it earlier and make an action plan. By making an inventory of everything you need, you can ensure to keep the items you need. If you have a written list, you can avoid forgetting your items. 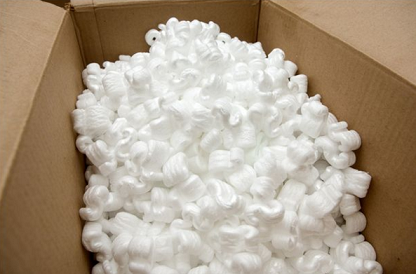 You should start collecting packing materials at the earliest. However, some moving companies have some special policies regarding packing materials, so you should ask them before collecting packing materials. Moving is the best time to discard unused items, so you should sort out your belongings earlier. 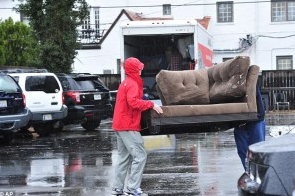 You should not pick a moving company by checking their fees and prices. Instead, you should always describe your needs and ask them for a quote. Highly efficient, professional moving companies can reduce the time and money significantly and safeguard your belongings. But, cross country moving services are not cheap. So, you should hire a reputable firm to get the best service in an affordable cost. You should do extensive research and collect quotes from at least 3 companies. You can also talk to people and take enough time to find the best moving company. It is also essential to check their parking permits and insurance. If the new place does not have private driveway, you should talk to the landlord or building manager about the options before moving. In many places, the liability of mover for loss or damage of your property may be limited. So, you can seek for getting better coverage. Before spending money for purchasing overpriced moving boxes and packing supplies, you should seek for getting everything free. You can gather padding materials, packing paper and moving boxes for free if you plan it earlier. This is the cheapest method of moving with your furniture, but at the same time, it is the most exhausting and accident prone way of moving. If you have lots of belongings and furniture and do not have enough money to hire state to state movers, this is the best option for you. This is an affordable option if you do not have lots of belongings. You should check with each company to know the cost. If you have heavy furniture and lots of other stuff, shipping will be more expensive and a headache. If you do not have large electronics or any furniture to transport, then bus or train is the cheapest option. This is the best option if you can manage under 150lbs. However, you should make sure that whether this option is available when you are planning to go. Cargo shipping services are offered by several airlines. Besides, courier companies also offer flight cargo services. You can talk to the company for getting the total cost and shipping options. * If you want go with a moving company, you should check their reliability and reputation. You must hire a specialist mover, who have enough knowledge in transporting your items. * If you have pets, bring the animal with you on the road, it is better for them because they can stay with you. However, it is inconvenient and stressful for you and your pet. So, you can send your pet on a plane to the destination faster, but it can be more stressful for your animal. * You must always expect the unexpected changes such as bad weather, flat tires, flight delays, detours, and a host of other things can affect your plans. So, it is not good to make your schedule so tight. * You can also check for hiring a share rental truck or inventory. You can find lots of moving companies from your source destination. Internet is the best place to find a good company. Once you find a company who are willing to combine move or share, you can save lots of money. However, it depends on your situation and the convenience of other person. 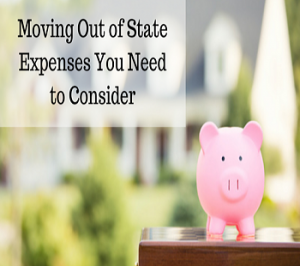 * Expenses for moving can be tax deductible. So, discuss the matter with a trusted tax expert. If you stay organized, you can avoid lots of potential headaches. Some estimates suggest that the cost of a modest cross-country move is around $8,000. However, if the mover is professional and reputable, they can provide you lots of discounts. Cost can be reduced if you pack yourself. If everything goes smoothly, you will get lots of time to relax and unpack at your destination. Before hiring a company, you should read the contract carefully. Some shipping companies charge extra money as fine. If your health is not good, find a reputable mover to do the loading and unloading. Moving company should have their name on a truck and be insured and licensed. You must verify these items before making a contract. 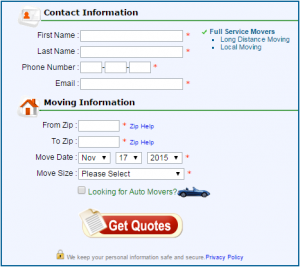 You must also make sure that the moving company has Motor Carrier number and Department of Transportation number. There are several options in case you are moving a far distance. For instance, you may opt to have your belonging shipped, while as you fly or you can tow your belongings in a trailer while as you drive your own car. 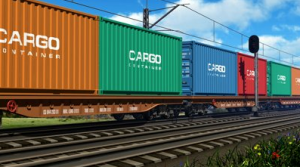 You may also choose to hire a crate and pack at your leisure, then have it shipped. It is upon you to do your own research and choose the best option according to your needs. It is worth noting that the cost of moving cross country add up. In most cases, an excellent way of reducing these costs is to make a clear plan of your purchases some time earlier by always comparing quotes, shopping for sales as well as claiming freebies from friends or work. In case your move has a relation with relocation of job, it may be possible for you to remove expenses of moving on your taxes. 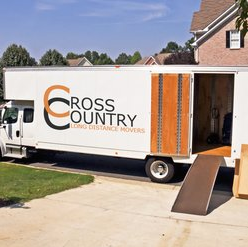 The major costs of moving cross country, which can be easily avoided include; professional movers. It is worth keeping in mind that professional movers that are reliable, effective and efficient can help to significantly reduce the total duration that a can take while ensuring that all your belongings are safe. However, you will still have to pay for the services provided. It is possible to reduce the cost by acquiring the service of a moving company that is known for being efficient and fast. There is also the packing costs which you can reduce or avoid completely. 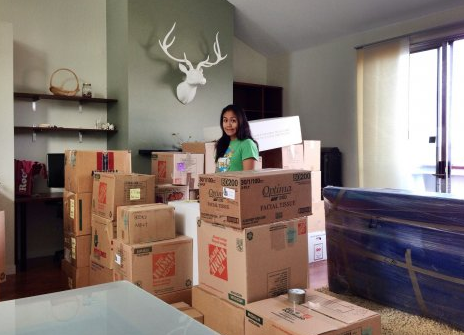 Basically, you may not know the total amount of items you have until when you begin packing. 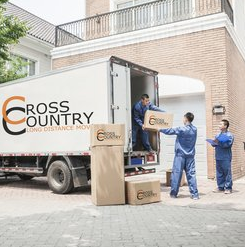 When making a cross country move, a packing that is secure can significantly make a difference in your possessions’ condition after arriving their destination. Therefore, always ensure that you have sufficient tape, bubble wrap and boxes. Moving is an excellent time to do away with items that you do not use. Start you moving process by sorting out your possession. Remember that a garage sale can ensure that you earn some money which may be helpful to facilitate your moving as well as reduce the cost of moving non-essential items. In case you opt to move by yourself, there is high chances that you will need a truck to rent. But in case you are on a temporary move, it may be necessary to have a storage. In case you have to store your belongings for some time, it is essential that you shop around so as to find a cheaper deal. It is also good to consider looking for combo deals. There are some storage unit firms that also provide van rental and moving truck along space for storing goods. It is therefore important to ask about such options and compare the costs. Moving home is generally one of the most stressful experiences that one can go through in his or her life. The entire process of packing your belongings and leaving your home as you move to a new place is very hectic. In addition to that, there is need to entrust your properties as well as their transportation in the hands of strangers which makes it even more stressful. In case you are in urgent need of moving, you should consider choosing the best available movers with cheapest moving quotes so as to make sure effective and safety transportation of all your belongings. Choosing the best company with the most affordable moving quotes for an excellent experience of moving cross country is usually not an easy task at all. Most likely you may have heard many bad stories from families and friends about moving companies that have bad reputation. Therefore, it is always very crucial that you consider choosing carefully the best from worst. Obviously there are numerous companies with different moving quotes that are ready and willing to help you move to a new place, hence it is upon you to choose the one that is most suitable to fulfill your needs. It is vital to make the right choice or else it will cost you money, time and heartache when you make the wrong choice. Always remember that choosing the best firm with cheapest moving quotes to assist you move is usually a personal choice, thus you should make a decision that primarily focus on all your needs. It is vital to note that there are numerous moving services that can be provided by moving firms currently. 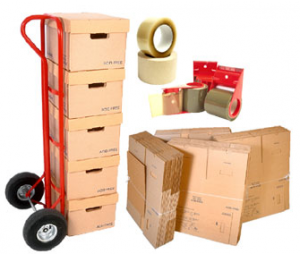 These services include but not limited to; packing, sale or hire of packing materials as well as unpacking and storage facilities. There are some movers who can pack your belongings neatly, ensure their transportation right on time, clean your new home of residence thoroughly, provide unpacking service to your belongings and properly arrange them at the other end according to how you want them arranged. Inclusion of these kinds of additional services may however cost you extra cash. Always consider comparing the available moving quotes from different moving companies so as to determine which mover will provide the best service at the most affordable price ever. Be careful to avoid being scammed by some movers who seem to provide cheapest moving quotes when in real sense they never exist. Majority of the people choose a moving company from an internet search or from a yellow pages type directory. It is most important and wise to pick moving companies that have enough experience and are accredited members of moving trade body or association. This ensures that the company you chose operates under certain standards and you will have recourse to action in case you have any problem. However, you may still check out their membership in case you are still suspicious. For instance you may ask for referrals from previous customers who were satisfied with the moving services offered. Different moving companies offer different rates and across country moving services, hence it is vital to check with a variety of moving companies to so as to ensure that you find the best for your needs. Long distance moves are large undertakings that require careful planning to ensure everything goes smoothly. The most important step in this process is packing since it plays a major role in determining how well the entire process goes. Packing can be made convenient and easy through knowing how to do it properly. Here are the primary packing tips when moving a far distance. Packing in the last minutes always cause problems since there is a high likelihood that some things will not be packed properly while others might be forgotten. However through preparing to pack long before the actual moving day gives one time to pack smoothly. One can even start packing the things which are not being used in the house months before the moving day. As a way of preparing it is advisable to create a list of the things to be moved so as not to miss or forget anything. Moving a far distance means that almost everything in the house will have to be packed. However not everything can fit in a box of the same size. This makes it important to get boxes of different sizes to ensure everything fits in the right box. The importance of this is that it avoids the problem of trying to fit big things in to small boxes or putting small items in big boxes which leaves a lot of space that can make the packed items prone to being damaged because they will be moving unnecessarily. This makes it paramount to get boxes of different sizes to ensure every item fits into the right box. Packing everything for far distance moving can sometimes be overwhelming since one might not be able to pack everything alone. This makes it paramount for one to reach out to people who might be able to provide the necessary help. 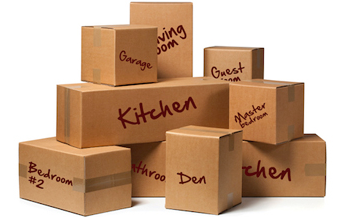 One can even seek help from professional movers who have the necessary skills on how to pack different kinds of items. The professionals will advice on how to pack the various items to ensure they are packed in a safe and professional manner. Not absolutely everything that needs to be packed when moving long distance. This is because there are some items that are not necessary and can be easily found in the place one is moving without necessarily incurring extra cost. To effectively cut down one should start by packing the things that are necessary and cannot be left behind. It is also advisable to pack the things that have sentimental or financial value before deciding what to leave behind. 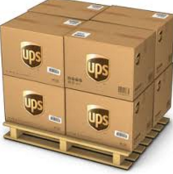 This significantly reduces the bulkiness of the items being moved and therefore reduces the moving cost. This is one of the most important packing tips when moving a far distance because it helps in avoiding confusion and mix-ups. Through putting labels on the packages one is able to differentiate between things that needs to be handled with care and other ordinary items. The labels do not have to be elaborated since one can just put a notification on the packages to let anyone handling them know what is inside. For instance; one can label the package containing items from the kitchen ‘kitchen’ and those from the bedroom ‘bedroom’. This will also make unpacking easier since it will be simpler to know what to put where. When it comes to moving a far distance the company chosen plays a major role in determining how well the process goes. Some moving companies have a reputation of providing quality services and one should hire such companies. To determine the right company one can compare several companies through researching on them or even contacting them prior to choosing the right one. Factors such as cost and reputations should be given a priority while choosing the right company. It is also advisable to choose a company that provides even additional services such as packaging containers and other amenities for packing. One should also go for a company that will take the least time to deliver the items to their destination. Therefore, one should pack having the chosen company in mind considering whether it will have the ability to handle the packed items effectively. The space available for packing is important since it determines how bulky the entire load will be. It is not advisable to put things that can fit in one box in two different boxes since this will means a lot of space will be wasted. Instead, it is advisable to ensure every available space is well used by packing related items in the boxes they can fit. However, one should not put items that might damage each other or react negatively in the same place since this can lead to damages. Some items especially the fragile ones need special packaging attributes such as soft materials to prevent them from breaking or low temperatures to prevent them from going bad. As a result it is advisable to identify such items and get the necessary special requirements prior to packing. By getting the special requirements one is assured that all the things will be moved without destruction. Furthermore, there are also items that might require special handling while moving from the house to the moving truck. One should ensure the special handling requirements are in place while packing. While packing for long distance moves one is required to consider the necessary licenses that might be required by the different authorities. This means while moving long distance one will need to pack considering things such as pet licenses for different states. This is an important factor to consider since there are some important things that are usually required to be licensed while moving. One should also do research on whether there are other licenses required in the destined area and while on transit especially while going through different areas of jurisdiction because the laws might be different. While packing one wishes that everything will go on smoothly but it is always advisable to consider that some things might not go as planned. For instance, moving might take longer than anticipated because of bad weather or the moving trucks experiencing mechanical problems. As a result of this one should consider how to pack the things that might be affected if the process takes longer. For instance; if one is moving with some plants or animals it is always to consider what to do in case of a delay. This helps in ensuring that all the things are moved conveniently. Therefore, by considering the outlined packing tips when moving a far distance one can pack and move conveniently. 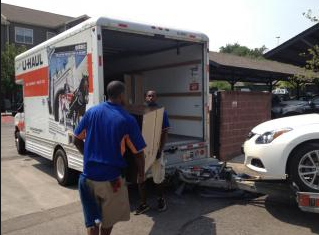 1 .Contacting a moving company may be the best thing you can do at first. For better results, try to contact as many companies as you deem necessary. This will give you a more accurate understanding of the market and the possible choices to pick from. Ask for quotes from these companies, compare their prices and the benefits they have to offer so you can make the best possible choice. Packing appropriately is a crucial part of the preparations involved in long-distance moving. You should make sure you pad all the possessions, giving them the best possible impact protection you can just to be safe. Most moving companies will provide you with their own packing materials so you won’t have to look for such, but at a price of course. If you want to avoid the extra expenses, you will have to take care of the entire packing process by yourself. This will save you money in the long run, as well as helping you pack on your own terms and time. Purge and downsize your belongings within reasonable limits. While you may be tempted to get rid of a large amount of your possessions, or alternately keep as much of them as you can. You should instead go for a middle ground between both options, focusing on the items you know you won’t be able to replace. Simply donate or sell the rest of them to alleviate the expenses you’ll have to deal with when you pay for the entire moving process. Shipping your vehicle may be another thing you’ll need to deal with. Depending on the distance you’ll need to ship your belongings and the manner of transportation involved, it may be a better idea to just drive your vehicle to its destination or arrange a mode of transport that suits your needs. In most cases driving your vehicle is a preferable option to paying to ship it instead. Prepare to say goodbye to a whole lot of friends, family and people you know. Although this may sound like something obvious, a lot of us may leave some loose ends behind when we move on. You may want to look for items you’ve lent out to friends or to do the opposite by giving away some of what you’re not planning on using. This will lighten the load and make your trip far easier by comparison. Moving longer distances requires a great deal of preparation if you want things to go as smoothly as possible. There are several options you can choose from in most cases, from ground to air transport, renting a trailer or moving truck or even working with a moving company. You should do your own research so you can get things done and that will require you to plan quite a bit ahead of time to make things go smoothly. The following tips will give you some tips on what to expect and a few actionable steps that you start acting on a few months in advance. everything, but pay close attention to the big stuff like furniture and other bulky belongings that may take some effort to move to your new home. Consider whether it would be a better idea to ship those items or to sell them instead. Heavy means money if you are hiring a mover or planning on renting a truck. Moving companies charge by weight, and the heavier and bulkier the truck you rent if that is your planned moving option can cost you in gas and higher rental fees. value. Keep a record of these things so you can follow up on them in case of accidents. 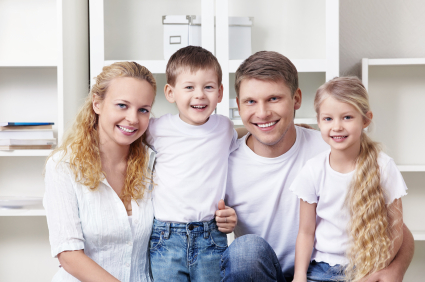 Get a good, replacement cost-only moving insurance that covers your possessions. This will be the best possible solution to your insurance needs in all cases, as other options base their payouts on a weight basis instead of their actual value. You can get quotes both ways, and most moving companies will offer insurance directly from their company, but we recommend getting quotes from third parties if you hire a moving company. by paying extra. You could bring some sensitive electronics if you want to as long as you give them proper protection and you declare them for example. to decide on the best possible option. Make sure you rent the right size truck or you’ll have troubles fitting things where they need to go. The last thing you’ll want is making multiple trips back to the UHaul store to swap trucks because you chose incorrectly.